The Cotton Island where is full of Cotton Balls who can read others’ minds and convey them. 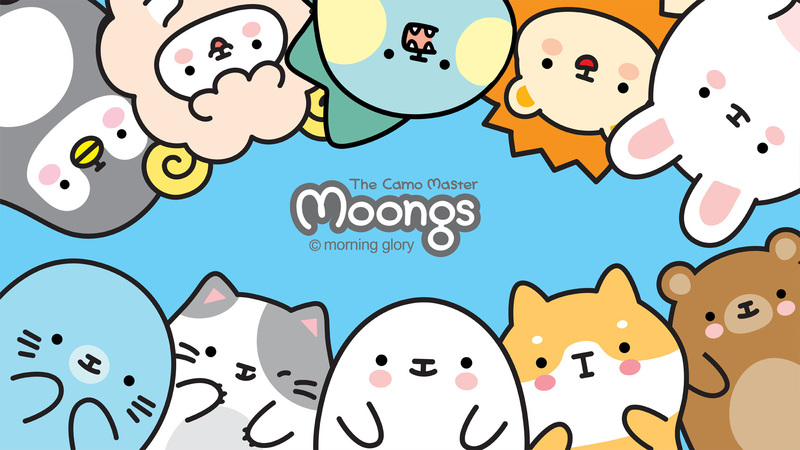 Among them, Moongs uses several ways of camouflage in order to deliver effectively and touch others. Lots of interesting stories come with Moongs on its journey. Are you ready to listen? Come over here! 뭉스는 신비의 섬 ‘코튼아일랜드’에서 온 마음 배달부입니다. 우리에게 변신술로 몰래 다가와 우리의 마음을 읽어 사랑하는 사람에게 마음을 전해줍니다. 코튼아일랜드로 떠나 뭉스의 이야기를 들어 보실래요? a mind messenger from Cotton Island. It comes to us in transformed shape! It reads our minds to convey, on behalf of us, our thoughts or emotions that we could not easily express to others because we feel sorry, embarrassed, or shame. The Story Begins from the Cotton Island. Far away from where we live, there is a mysterious and unknown island called Cotton Island. It is hometown of the Coton Balls who fly in the air and float on the water. And they are quiet special since those Cotton Balls can talk with each other. Furthermore, their main job is conveying our thoughts to others in special occasion. At first they read our mind and help us to realize what our real feelings and intentions are. And then convey them to the others on behalf of us. At the ‘School of Moving’, the Cotton Balls are learning how to read and move people’s minds. And in order to become thought-messengers, the Cotton Balls must achieve a notice of success from the school. Among them there is more special one whose name is Moongs. Moongs can catch and understand our thoughts very well. While other Cotton Balls only deliver our thoughts to others secretly, Moongs can and deliver directly to others in various transformed shapes that have no trace of Moongs at all. 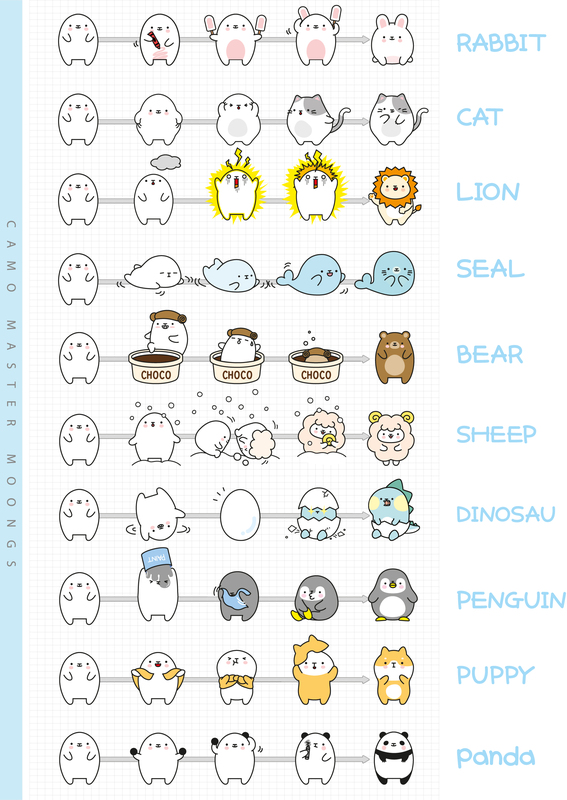 For example, Moongs can transform many creatures such as lion, bear, rabbit, dragon, sheep, penguin, cat, seal, dog, etc. using tools around it. 겹겹이 안개에 가려진 저 멀리 바다 한가운데에 자리 잡은 섬, 코튼아일랜드. 이곳은 마음껏 하늘을 날고 물 위를 떠다니는 목화들의 고향입니다. 말을 하는 것은 물론 마을을 이뤄서 함께 지내며 서로를 의지하고 사랑하며 살아갑니다. 하지만, 정말 특별한 것은 바로 이 목화들이 마음을 배달해준다는 사실이지요. 어떨 때는 우리도 모르는 우리의 마음을 읽고 마음을 깨닫게 하고, 또 다른 이에게 우리의 마음을 전하기도 합니다. 목화들은 코튼아일랜드 학교에서 마음배달부로 교육을 받고 엄격한 기준에 따라서 합격한 목화들만 섬을 벗어나 마음배달부로 활동할 수 있습니다. 이들 중 조금 더 특별한 목화가 있습니다. 뭉스는 상대방의 마음을 읽을 수 있고, 잘 이해합니다. 읽은 마음을 몰래 심어주는 다른 마음배달부 목화들과 달리 뭉스는 변신하여 직접 마음을 말해줍니다. 페인트, 크레용, 보 자기 등을 이용해 다양한 모습으로 변신할 수 있죠! 세계 곳곳을 여행하며, 친구들을 도와 주고 메시지를 전달하는 것이 뭉스의 목표입니다.